ChainLink Research : Research :RFID is Alive . . . So where's it going Next? 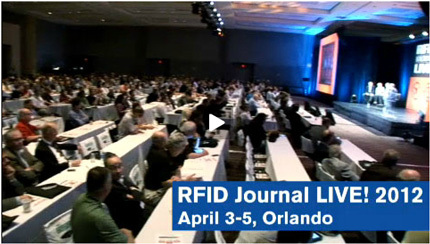 What I learned at RFID Live 2012, Part One . . . Or how I learned to make a great cup of coffee! RFID Live was a dazzling show this year. Booths and demos looked like a big electronics show instead of a collection of science experiments. 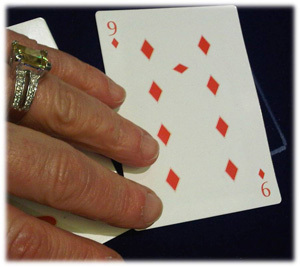 And the razzle-dazzle was not dominated by the bigger players, who are in many electronics markets, but by lots of pure play up-and-coming RFID device and services companies. Conceptually, we need to think about these technologies as interactive intelligence gathering technologies, gathering intelligence about things and environments. Intelligent things—The industry has moved so far forward with RFID tags and sensors with a lot of on-board data and intelligence. There is more memory, more data storage, more intelligence gathering through sensors and smart chip features. 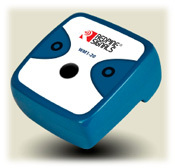 RFID tags can become truly interactive with audio or visual capabilities. They become things that can communicate with service providers, operations, and customers, providing information about themselves. What can they communicate? On-board operator instructions, pedigrees, or a host of communications attributes; and of course, conditions monitoring and history, and any trading partner information that you might want to share. As Peter Mehring of Intelleflex pointed out, suppliers today can track and manage their products and conveyances through the supply chain and constantly monitor the quality and care of that product to its destination. But more importantly, when it arrives they no longer need to get through the customer’s fire wall to confirm delivery. A carrier or service provider can scan the current location and product conditions with a mobile device and send that data directly to the cloud and back to the shipper. This capability removes a big obstacle in RFID adoption—the instrumenting of the supply chain. If we have to depend on full compliance at each stage, i.e., the installation and use of compliant readers, then it might be a journey too far. But now, with Intelleflex’s newly announced cloud solution Zest, we don’t have to rely on that. Intelleflex has been making huge progress in the produce industry, where you cannot rely on connecting to electricity or traditional shipping dock scanning at a big warehouse. This solution enables the device to operate somewhat on its own. The devices are processors—not just passively encoded. Tim Butler and his team from Tego also pointed out that with more memory and data storage, you can provide the needed data—operating instructions, pedigrees, reports, and interestingly, an Advance Ship Notification. Think of this: shipping the product with its ASN, the receiver (customer) can scan the item; confirm the information to sender (in the cloud); and get moving on the work at hand. You can do this with the TegoDrive and tags. For big industrial applications—Manufacturing, Mining, and Construction, that are often off the grid, this is a huge step forward! Venkat Mattela of RedPine Signals spoke to us about their low power/WiFi-ready chip. This has been one of the limitations of RFID on a WiFi platform: WiFi is an energy hog. So, lower energy consumption increases the life and range of the tag, reducing an obstacle to successful implementation of real-time locating systems (RTLS). Neil Mitchell of Alien Technology and I also talked about the whole challenge of serialization. Today, there are thousands of packaging lines in the pharmaceutical industry in the US that need to be retrofitted for serialization. The big Pharma guys can afford workstations and software solutions that integrate with their ERP and databases (see Big Data in this issue). But what about the smaller firms that may have low-volume shipping? MCS might hold promise for low-cost solutions for them. Chatting with Scot Stelter4 of Impinj, we discussed a whole range of intelligence options today. A big moment for us all (and one that we at ChainLink have been requesting for almost a decade) is the pairing of RFID and PC processor chips. Impinj and Intel are now partnering—so, as I understand, the new Wintel PCs and tablets will come with both of these onboard. I saw two great demos from Impinj and one from NXP highlighting super fab capabilities. You can order your tablet online, pre-commissioning, securing, and personalizing it before it is even shipped to you. It will know your location, and will only work for you! Love it! Here is big problem that looks like it has solutions. I talked with Mike Nichols, Director of RFID Systems Consulting at Intermec, about what Intermec is up to. This steady-as-you-go company has been scanning, tracking and managing stuff for longer than any of us can remember. But here is an application that raises the bar for the industry. The service industry is a big ticket, high margin business. But they can be a lot more efficient, increase customer satisfaction, and make more money to boot! The service vans and their stock—where are they? Who’s got it? And, do they have the right items to go on the service route that day? Rather than scanning each and every item on the way in and on the way out—time consuming, inaccurate, and clunky—how about just having a smart van? This may be on the border between the intelligent item and the intelligent environment theory, but you get the point. The van knows what is in it, and can tell the field service worker and the warehouse what it’s got. Zebra—don’t blame me for their location in this post—when your name starts with Z you wind up here. But as far as real-time locations, Zebra is firmly planted in the real-time locating systems (RTLS) and ultra wide band market. The intelligent attributes of location has become a really hot topic (you can read about location-based services here). The question is how accurate do you need to get? They have the choices for those ‘out in the field,’ in the yard or port, with their ‘ultra’ option. Zebra has invested heavily to improve these technologies since they acquired them, and with the Zebra sales and channel might, we should see more RTLS around. That’s Some Cup of Coffee! So what about that promised cup of coffee? The single-cup coffee makers are all the rage now!5 But each bean needs its own care in the brewing to really make a fabulous cup of coffee, as coffee drinkers know! RFID is on the job—on your coffee maker and on each K-cup. Imagine, actually you don’t have to imagine, you can taste—each K-cup has its precise brewing instructions that the coffee maker reads for temperature, amount of water, etc.—and voilà—the perfect cup! This is made possible because the RFID community has overcome a major obstacle—item price. It was thought that a low cost item (50 cents per K-cup) was too inexpensive for its own individual chip. But this is about benefits: you want to sell more K-cups, and the brand-name coffee maker wants you to use their coffee. By having the individualized instructions built into the K-cups, companies sell their coffee, and the consumer gets the perfect brew. Another razor vs. blades business model is born! Finally, in our last issue, we discussed highlights of the current state of RFID (insights from MIT’s recent event), including the presence of Omni-ID’s Visual Intelligence, and Wavemark in the healthcare field, which we would also include in this intelligent things category. In Part Two, we will talk about intelligent environments and put the pieces together on the smart world we are entering into!